From dealing with the hair frizzies to hair breakage to just plain dull hair, I have some products to share with you that will help tame and fix your hair woes. Has humidity got you singing the hair blues? Here's a product from göt2b to help. I received a bottle of this for review and it was quickly apprehended by my husband who spends more time on his hair then I do. He is a big fan of göt2b products so he was anxious to introduce this product to his hair. This does just as it says, it is not only great for added volume but it tames the flyaways and even does a great job of keeping my husbands high hair in place. You can also pick up a bottle of Volumaniac Bodifying Mousse if that's more your thing, both are humid hair savers. Tired of dealing with hair frizz? Try this shampoo and conditioner duo from Live Clean. 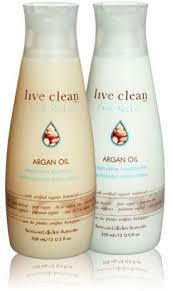 Live Clean Argan Oil Restorative shampoo gently cleanses while restoring natural luster. Enriched with 100% pure Argan Oil, certified organic Grape Seed, and Olive oils for enhanced long term conditioning and shine. Live Clean Argan Oil Restorative Conditioner hydrates and nourishes without adding any excess weight. Enriched with 100% pure Argan Oil, certified organic Grape Seed, and Olive oils for enhanced long term conditioning and shine. I have been loving my hair while using this duo. My hair is not only clean but so smooth. It also leaves it feeling soft and not weighed down. Looking to give a new shampoo and conditioner a go then try these, you won't be disappointed. Are tangles making your hair an unruly mess? 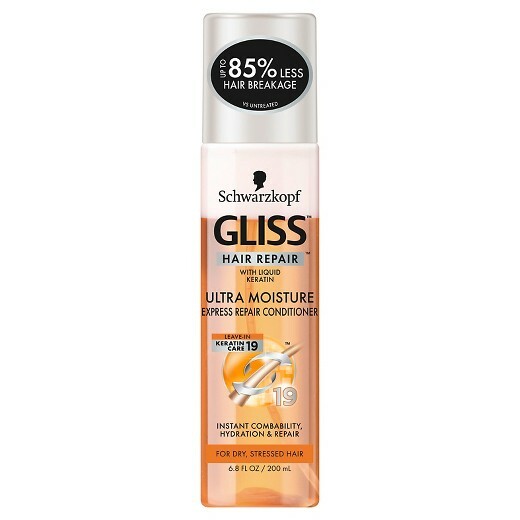 Schwarzkopf Gliss to the rescue. 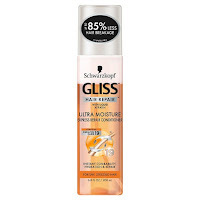 You can find this and other Schwarzkopf GLISS products at mass retailers nationwide.